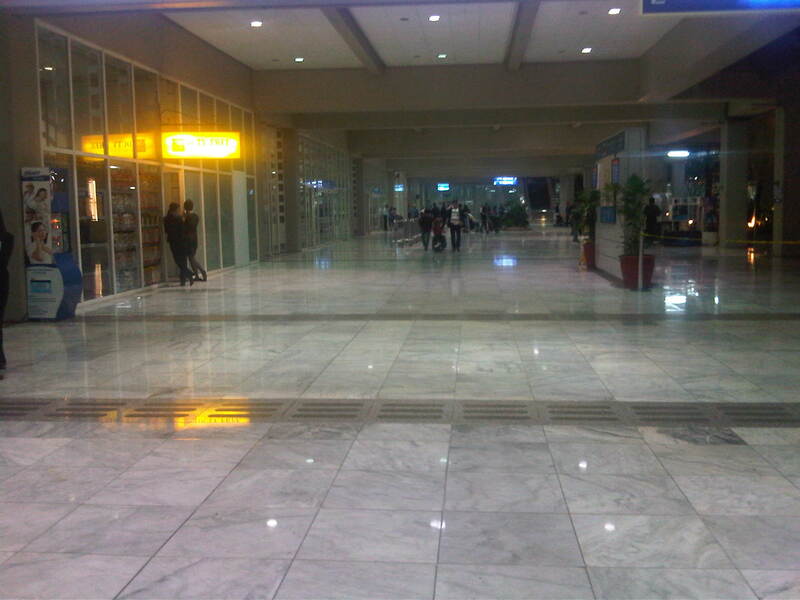 I took some photos of the NAIA Terminal 2 arrival area while waiting for my in-laws to arrive from Singapore via Philippine Airlines. Terminal 2, which is also called the Centennial Terminal after opening in 1998, the 100th year of Philippines’ Independence, is exclusively used by Philippine Airlines for both its domestic and international operations. The North Wing serves international passengers while the South Wing serves domestic passengers. 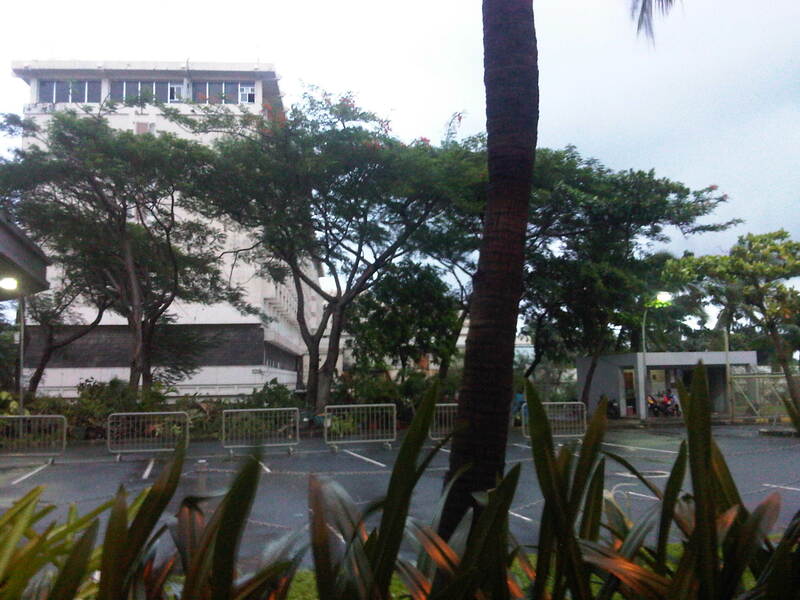 Gate and fence separating the tarmac from the VIP parking area just behind the cafe at the international wing of NAIA Terminal 2 – I was actually taking a photo of the windblown coconut trees and the dark clouds generated by a slow-moving typhoon Gener. VIP parking area at the NAIA T2 that is near the gate access to the tarmac. 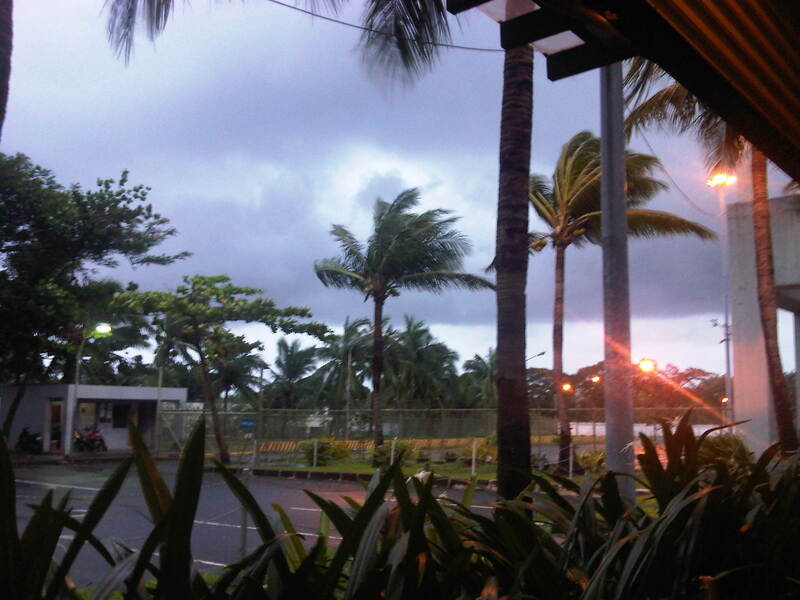 The building in the background is what used to be the Philippine Village Hotel. The building has been unoccupied for many years now and is up for demolition and re-development along with the old Nayong Filipino theme park. 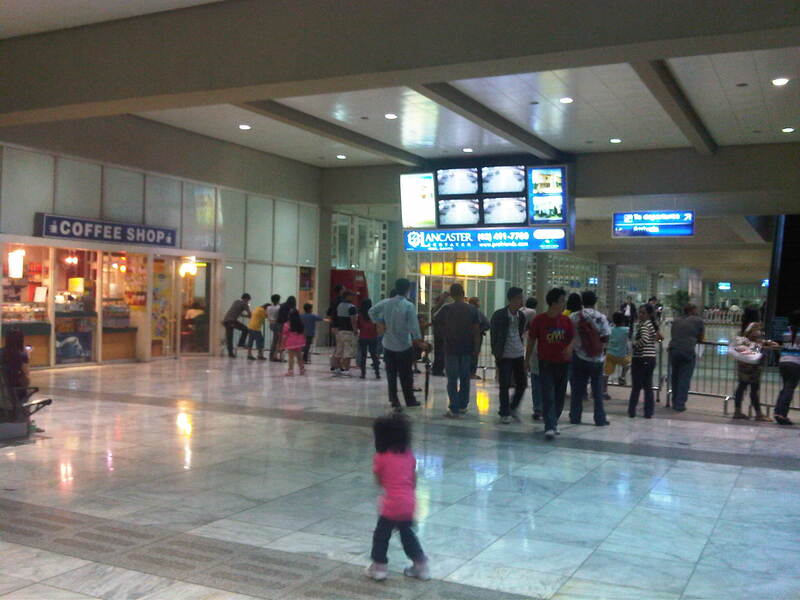 7Coffee shop and screens at the arrival area. 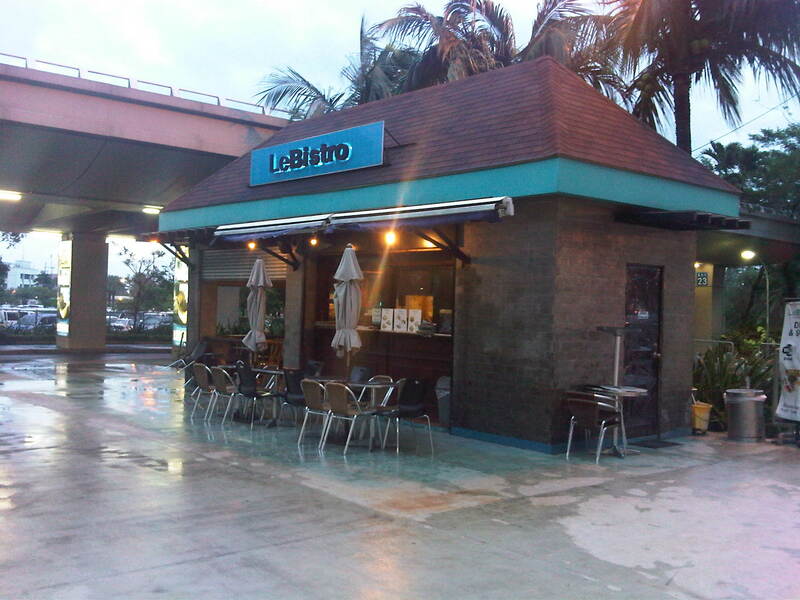 This is the only shop in the area as the other concessionaire closed up months ago. The screens show passengers arriving at the baggage claim area inside the airport and as they exit from the customs checkpoints. Spacious arrival concourse exclusive to passengers (well-wishers are not allowed here). The yellow sign indicates the small duty-free shop near the exit from the terminal building. 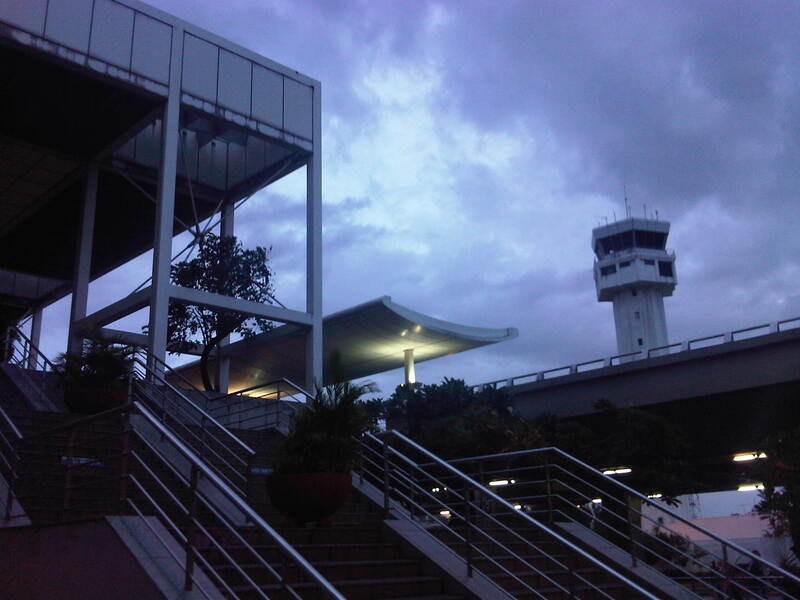 Passengers transferring to the departure level can take the escalator shown in the photo. The escalator, however, seems to be always under maintenance and unavailable. There is another on the other end of the International Wing of the terminal. By d0ctrine in Airports on August 19, 2012 . Very informative….thank you,im fetching my husband tomorrow atleast now i know how it looks like and where to have snacks while waiting for his arrival..
How about in the departure area po where can we stay, while waiting for their flight po? 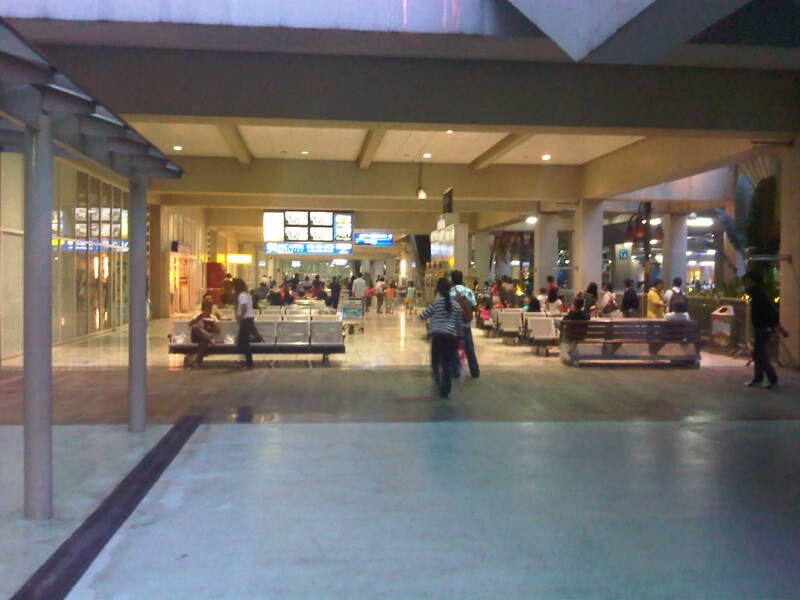 At the departure level, there are also seats located at either ends of the terminal. 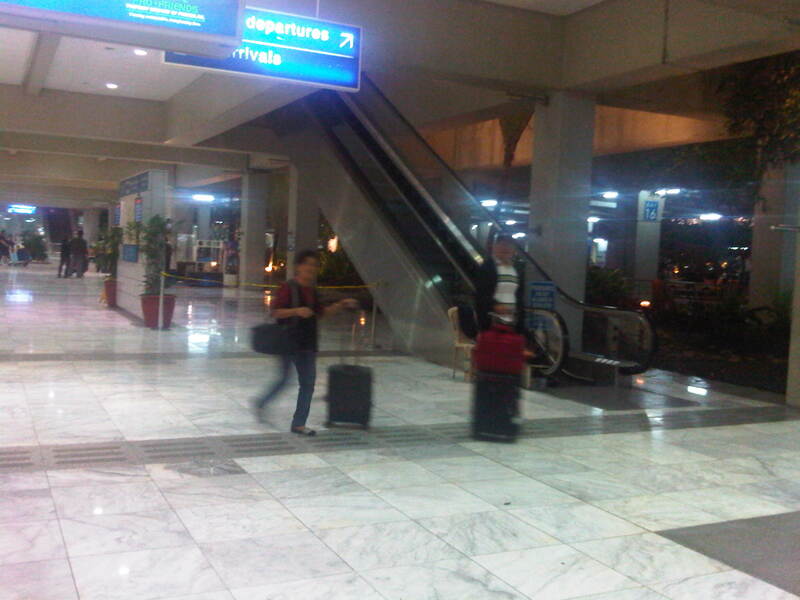 Passengers and their “hatid” may stay there while waiting or prior to checking in. After check-in, passengers may still opt to exit and linger with relatives/friends but will be subject to the same security inspection procedures when re-entering the terminal. 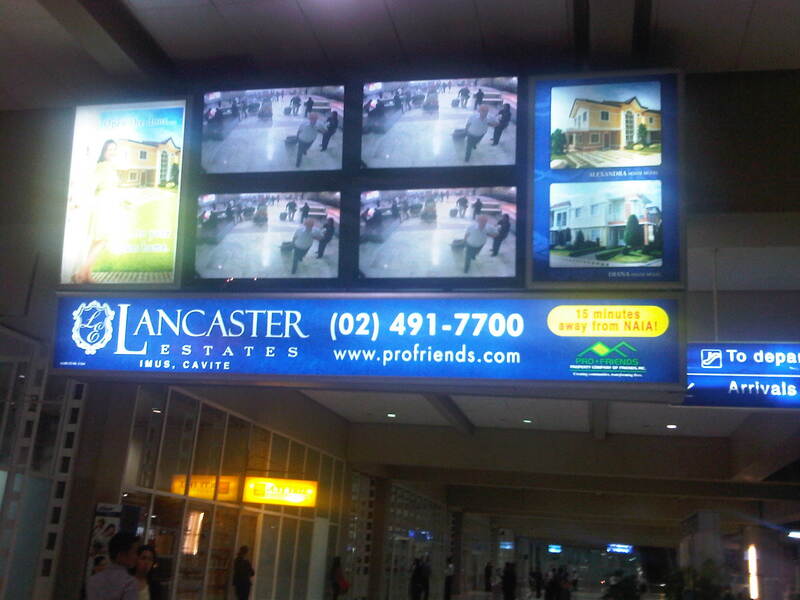 Hi,, just wanna ask if how many exit doors in NAIA Terminal II wherein i can easily fetch our visitors.. thank you! 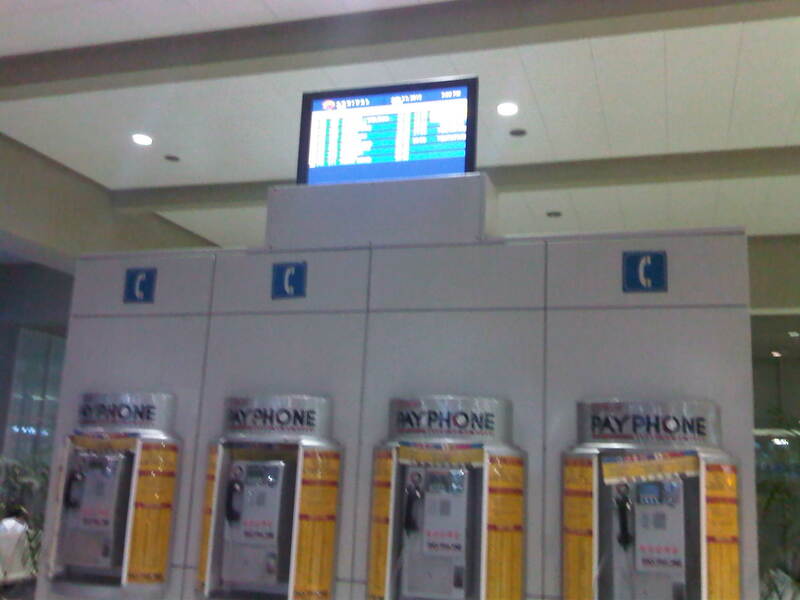 what’s the best place in NAIA Terminal II that the passengers can easily find it in fetching?? That depends on whether your visitors are arriving on a domestic or international flight. International flights are served on the North Wing of Terminal 2 and there’s only one waiting area at the end of the wing’s ground (arrivals) level where people can wait for or fetch passengers. 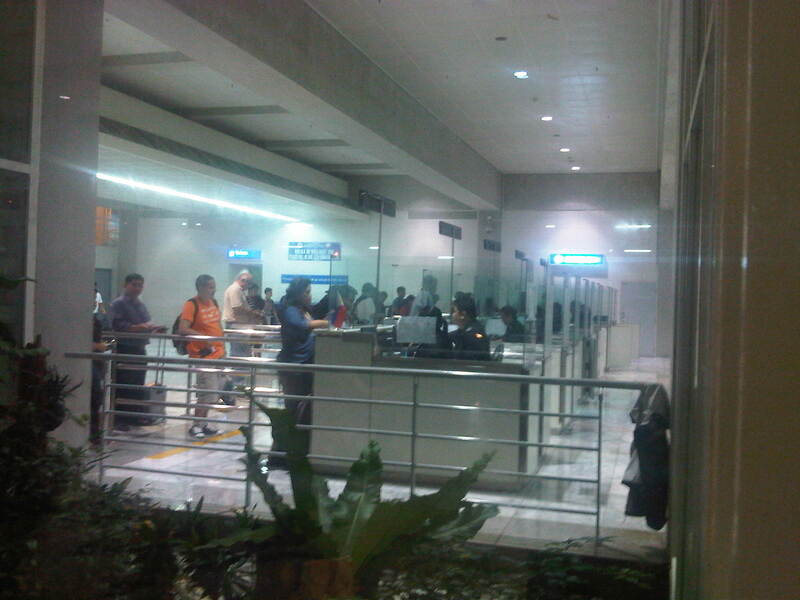 Similarly, there is a waiting area at the end of the south wing for domestic arrivals. People fetching passengers can meet up along the driveway at this level but depending on how strict the security is at the time, persons might be asked to leave the area. Hi sir. I used one of the pictures in this blog in my thesis and I’d like to properly cite you in my references, would you mind if I ask for your name? hope you could find time to shoot me an email. Thanks! What bay number is the Singapore arrival area? There is no designated bay for Singapore arrivals at the terminal driveway. You’d just have to find a less crowded bay and ask your sundo to pick you up there. The driveway stretches all the way to the domestic wing.